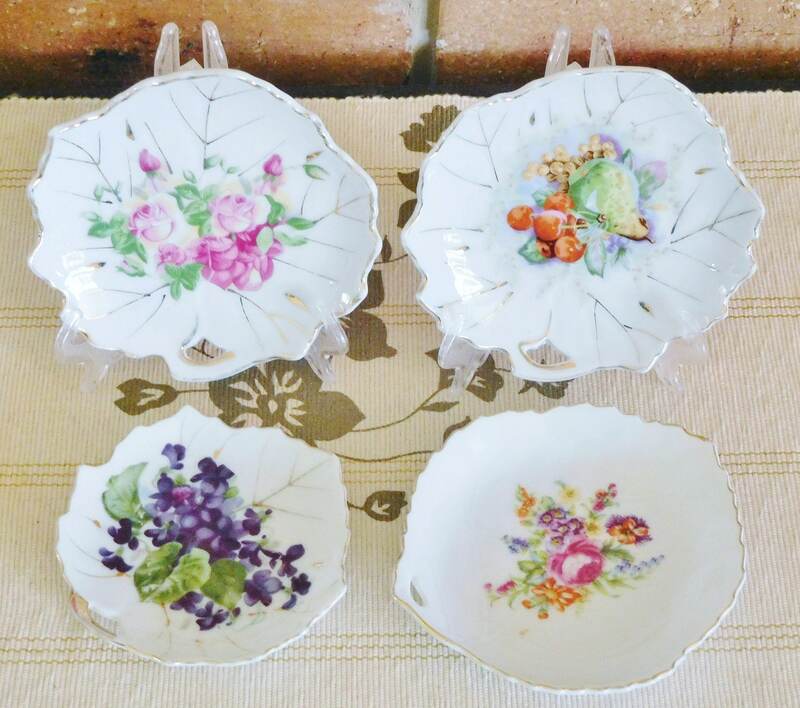 Japanese vintage 1960s porcelain leaf-shaped pin/trinket dishes or butter pats, in fruit and floral designs and decorated with touches of gold gilt. All 4 are in excellent condition with no chips or cracks, though there are the slightest hints or touches of wear. Perfect for your next high tea!